La Grande Famille by Moulin Roty is expanding with the arrival of flat comforters. It represents Nini mouse. You will recognize its grey body with a pointed snout and cute small ears and its pretty little red dress with polka dots. 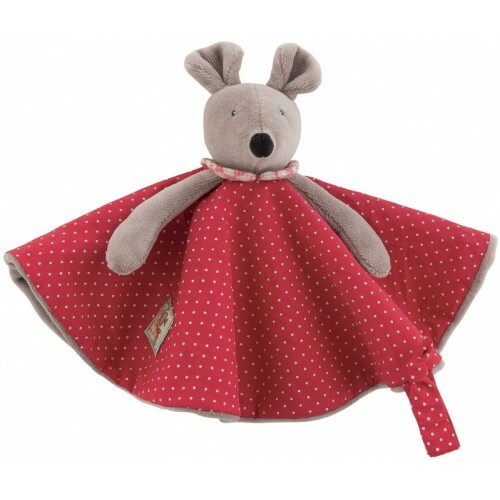 The blanket measures 28 cm and can be embroidered with your child's name!